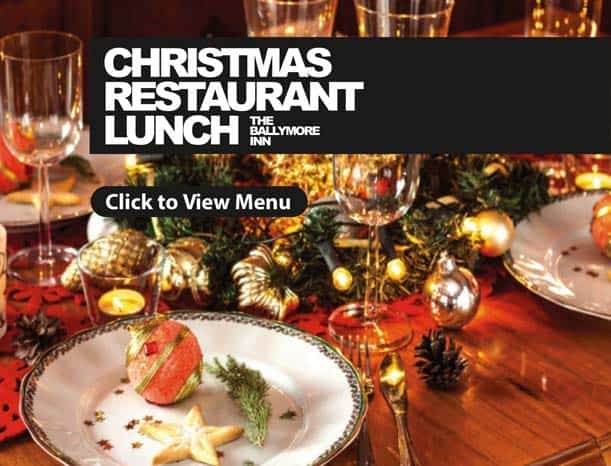 Book now for Christmas at the Ballymore Inn! 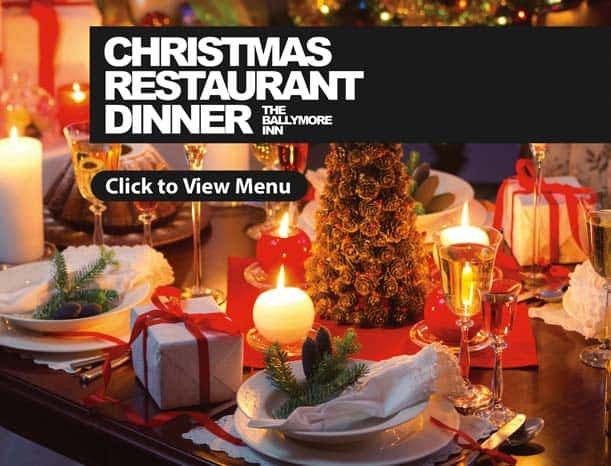 “Book your Christmas lunch or dinner party now. Enjoy a delicious lunch from €28.50 and dinner from €37.50. 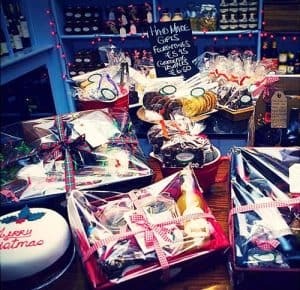 We also have wonderful Hampers available at Ballymore Inn to order. Please call us on 045 864585 or pop in to our shop and have a look. 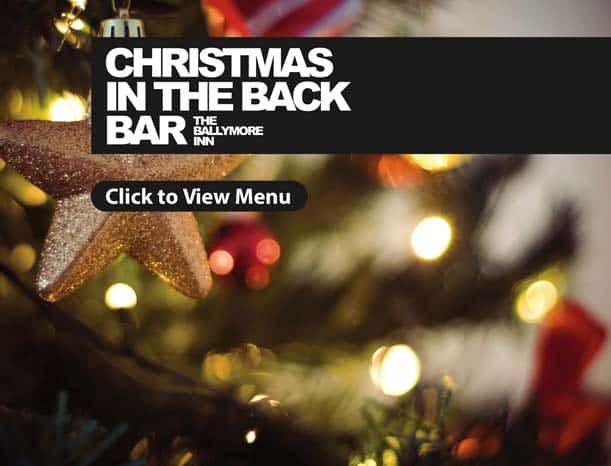 Friday 14th December is party night in the Back Bar. Come for a bite to eat and enjoy the music after with your friends and don’t forget to have your dancing shoes ready for Rob Strong on New Year’s Eve!